We can’t start a new month, definitely not January, without a new workout challenge! This one is a little different than what we normally post. I want to encourage you to move every single day of the month. You have designated strength training, cardio, yoga/walk, and rest days included in the challenge. If you are doing any of our workout plans you are already covered (as long as you follow it!). We always recommend having a workout plan in order to meet your goals (find out why here) but if you don’t you can choose your own strength training and cardio workouts (we have a ton of free resources for those!). The goal here is to make exercise a habit. I don’t want you to go so hard in January that you get hurt or lose interest by the time February rolls around (I’ve seen it happen over and over again!). Make exercise a daily habit and something that you look for in the normal routine of your day (taking the stairs, parking far away, etc.). It’s also important to switch things up, which is the reason we have different forms of exercise listed. You don’t need to run every single day, keep your body guessing by incorporating different exercises! 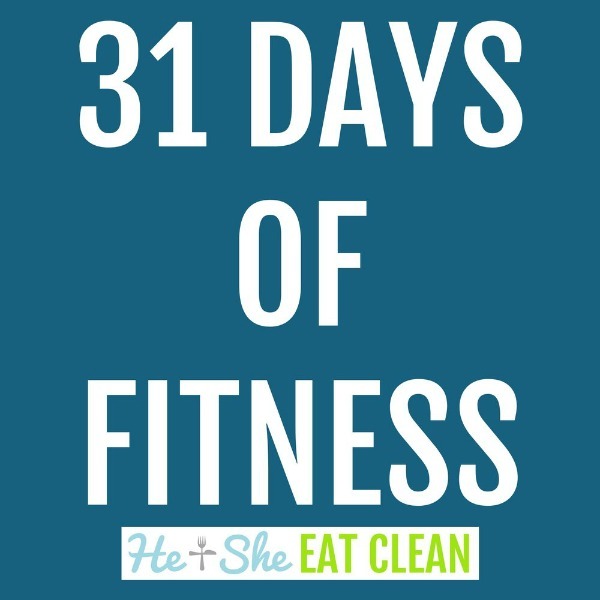 Have you heard about our FREE 13 Day Clean Eating Challenge? It includes a sample meal plan, workout plan, plus much more. Learn more and join today!